East Thames Buses, London Buses' operator of last resort, lived up to its role when in early 2003 twelve 9.4m Cadets were acquired, presumably through Arriva Buses, who were DAF/VDL's UK dealership. DW1-12 were for new route 393, which had failed to attract any other tenders. 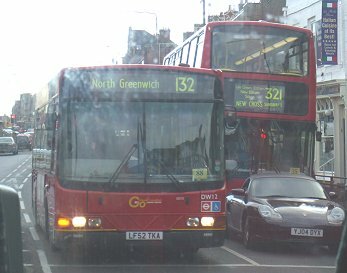 The 393 (Clapton - Holloway) required nine buses, so the twelve DWs were plenty. They worked from Ash Grove garage at first. The spares started to stand in on other routes, such as the 42 and 108. 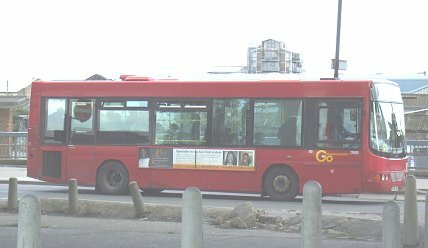 The 393 was reallocated to a new parking place in Southwark at Mandela Way (MA) in October 2005, when East Thames Buses moved out of Ash Grove. The 393 was lost in March 2007, and the twelve DWs, still at Mandela Way, were reassigned to the 201 (Morden - Herne Hill) which required nine buses. Another twenty-five Cadets arrived the following year. These were the longer 10.8m version, and were acquired through Volvo, who badged them as Volvo Merits. 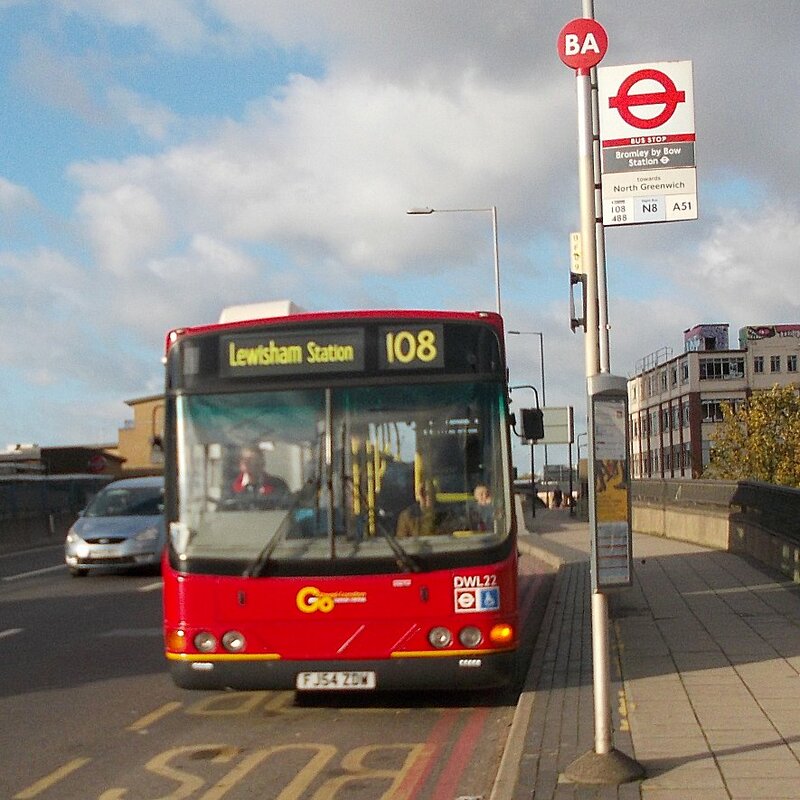 They were for the classic 108 route (Lewisham Station - Stratford Station) via the Blackwall Tunnel. They were to replace the secondhand Dart Caetanos that in turn had replaced the increasingly unreliable Excels. They should have been delivered in July 2004. Some were. Some were not. The last arrived in January 2005. Eighteen were required for the busy route, which was operated from Belvedere (BV). 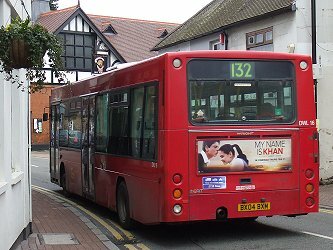 This left an ample number of buses left over, which appeared on other routes, such as the nominally double-decked 132 (Eltham Station - Bexleyheath) and the 42 (Denmark Hill - Liverpool Street). DWL20 in East Thames Buses livery at the Cobham Bus Museum Open Day at Chobham, April 2007. 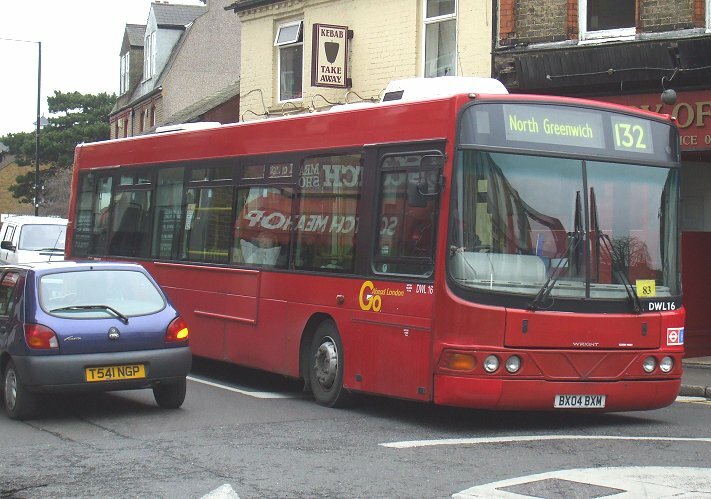 From March 2007 the 132, by now North Greenwich-Bexleyheath, became an official DWL allocation, although the total of 25 did not meet the requirement of 26 vehicles on the 108 and 132 combined. Shorter DW10-12 were transferred to Belvedere to make up the difference. 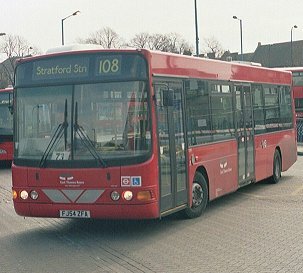 I travelled on DWL26 from Lewisham to Stratford in April 2006. 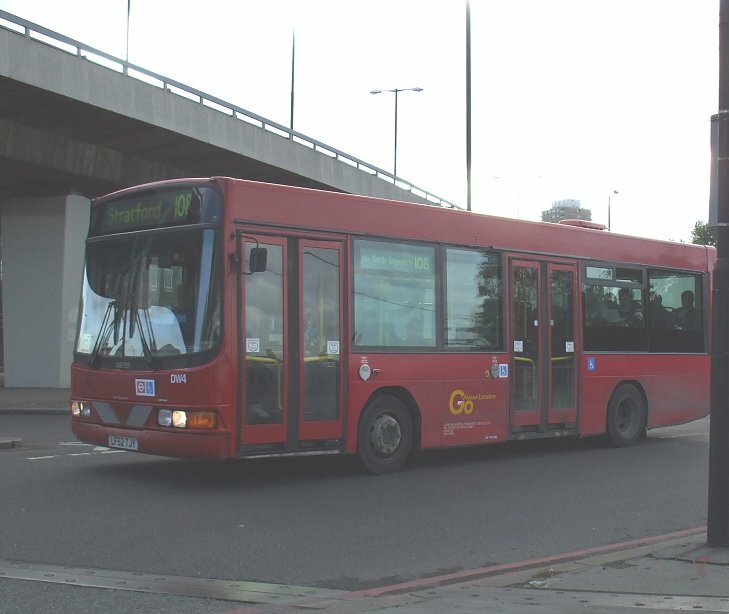 In October 2009 East Thames Buses, with its routes, garages, buses and crews, was taken over by Go-Ahead London. ETB's fleetnames on the plain red bodywork were replaced overnight with Go-Ahead fleetnames as well as legal lettering. 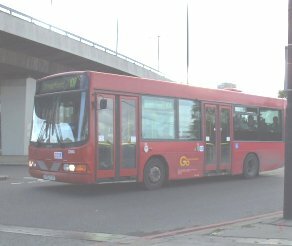 By chance I saw a pair of DWs (DW4 and DW8) within days of the takeover in October 2009, wearing Go-Ahead London fleetnames and working on the 108 to Stratford. 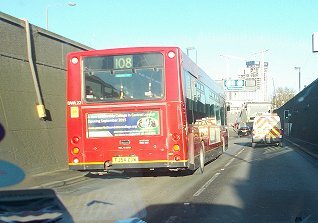 DW1-11 were almost immediately relocated from Mandela Way (MA) or Belvedere (BV) to Merton, which was much better placed for the 201. DW12 moved to Bexleyheath, where it stayed for a while before moving to Merton. 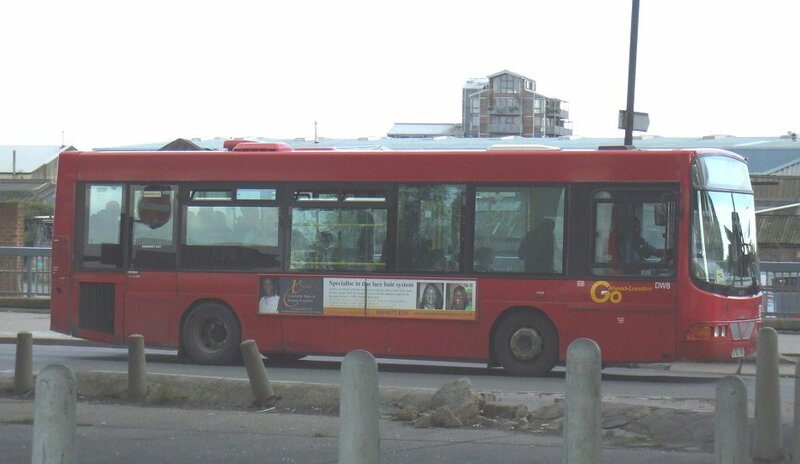 Repaints into Go-Ahead London's livery, with a brighter red, charcoal skirt and yellow cheat-line, which transformed the appearance of the buses, occurred during early 2010. 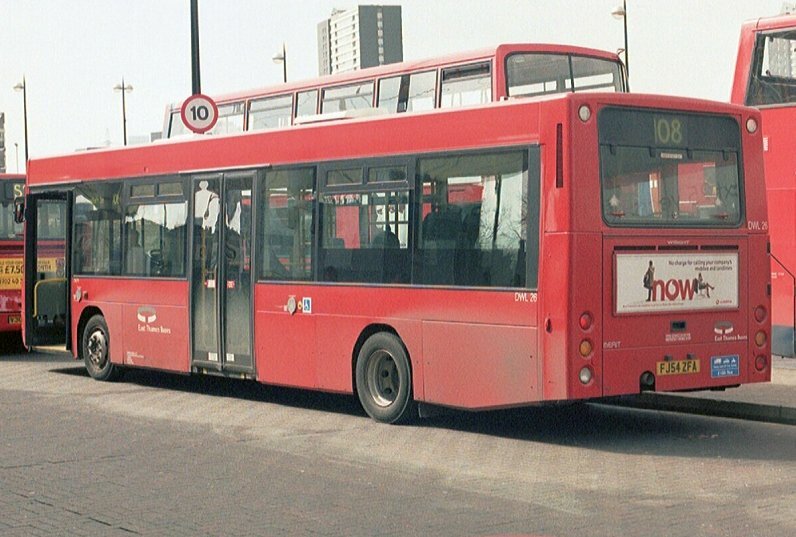 Merton gave them a decent blind set for its single decker routes, and they appeared on quite a few different routes when not in use on the 201. In December 2010 DW12 was in the new Go-Ahead livery, and still at Bexleyheath on the 132. Here it is seen in the rain at Eltham. DWL13-37 moved to Go-Ahead's garage at Bexleyheath, Belvedere becoming just a store. The DWLs too were repainted, once the shorter buses had been done. They became the staple stock for the 132. 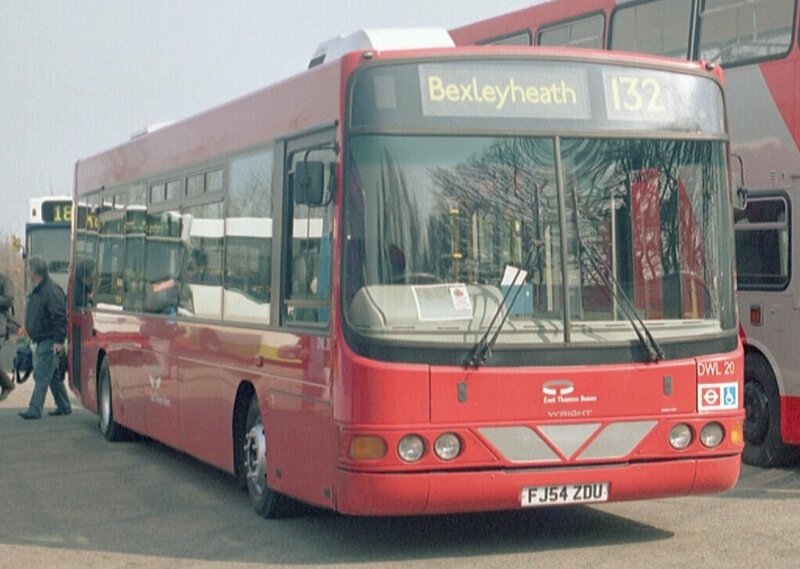 In February 2010 DWL16 was still in the plain red livery, at Bexleyheath on the 132. Here it is negotiates the tight streets of Bexley. Those not required at Bexleyheath were transferred to New Cross for use alongside EDs and LDPs on the 108. 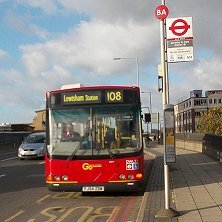 Some of the Bexleyheath DWLs were loaned to New Cross during the summer of 2012 to help out on the enhanced 108 service during the Games, the 132 being enhanced by double-decking. Some were transferred to Merton to join the DWs. I travelled on DWL22 several times in November 2013. Here it calls at Bromley-by-Bow Station to pick me up. In December 2014 I overtook it in the car as we entered the Blackwall Tunnel, and my wife took the picture. 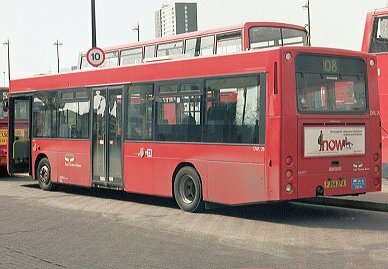 Short Cadets DW1-8 were withdrawn in December 2014, and went to Ensign Bus sales, from where most went either to Western Greyhound or Cotswold Green for further use. DW10 was no longer around, having caught fire back in May 2010. DW9 and 10,11 were transferred across the Thames to the ex-Blue Triangle operation at Rainham. DW9 was not used, but DW10 and DW11 had a short stint on the W19 before withdrawal early in 2015. The Bexleyheath DWLs were variously sold or transferred, mainly to Merton or New Cross. 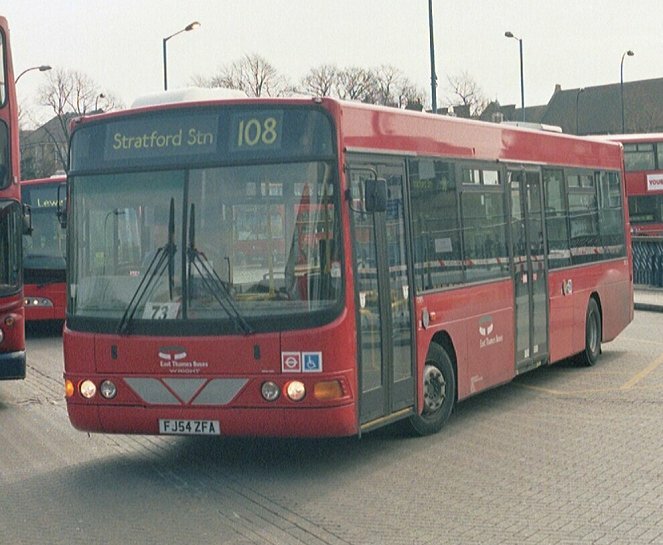 The Merton buses were mostly withdrawn during 2014. The New Cross buses found a home back on the 108, where they have continued to work until unreliability forces withdrawal. Several have gone to McGills in Greenock. Bus Stop Cadet index. ETB/GAL Cadets. bus histories. photo refs.